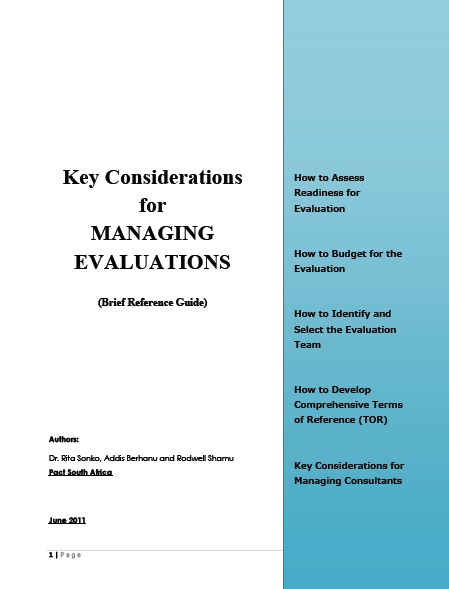 It is helpful to develop an initial description of the project, program or policy as part of beginning an evaluation. Checking this with different stakeholders can be a helpful way of beginning to identify where there are disagreements or gaps in what is known about it. Existing project description: using existing project descriptions of what is being evaluated. Peak experience description: describing a time when the project/program/policy worked particularly well. This option is part of the “Appreciative Inquiry” approach to evaluation. Appreciative Inquiry: a group process which allows an organisation to understand the best elements of itself in order to create a better future.